Showing its serious about improving its virtual assistant, as well as the company’s online storefronts, Apple purchased Seattle-based AI/machine learning startup Turi today for a reported $200 million. Details are still hard to come but so far we know that the Turi team plans to stay in Seattle, joining Apple’s growing engineering outpost in the city. 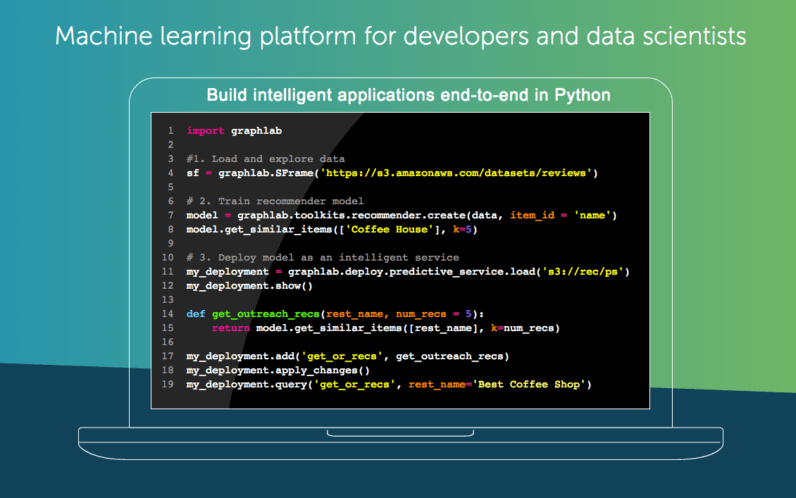 Turi, formerly Dato (and GraphLab before that), has a number of products designed to help developers in creating machine learning and AI solutions capable of scaling as needed — GraphLab Create, Turi Machine Learning Platform, Turi Distributed and Turi Predictive Services. It was also actively involved in creating clickthrough predictors, churn predictors, sentiment analysis, fraud detection systems and recommendation engines, among other AI/machine learning projects. These solutions — as well as Turi’s talent — are probably headed straight for Apple’s virtual assistant, Siri, in addition to its numerous storefronts, like the App Store and Apple Music. In combination with a duo of other Apple acquisitions — machine learning startup Perceptio and natural language processing firm VocalIQ — we could see the artificial intelligence and AI team’s fingerprints on everything from Siri to tvOS in the near future.